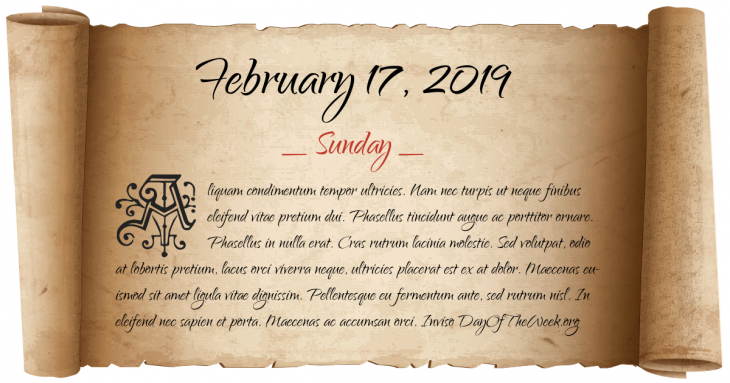 What Day Of The Week Was February 17? American Civil War: The Ship becomes the first submarine to engage and sink a warship, the USS Housatonic. The victorious Prussian Army parades though Paris, France after the end of the Siege of Paris during the Franco-Prussian War. World War II: Operation Hailstone begins. U.S. naval air, surface, and submarine attack against Truk (Chuuk), Japan’s main base in the central Pacific, in support of the Eniwetok invasion. Who were born on February 17?